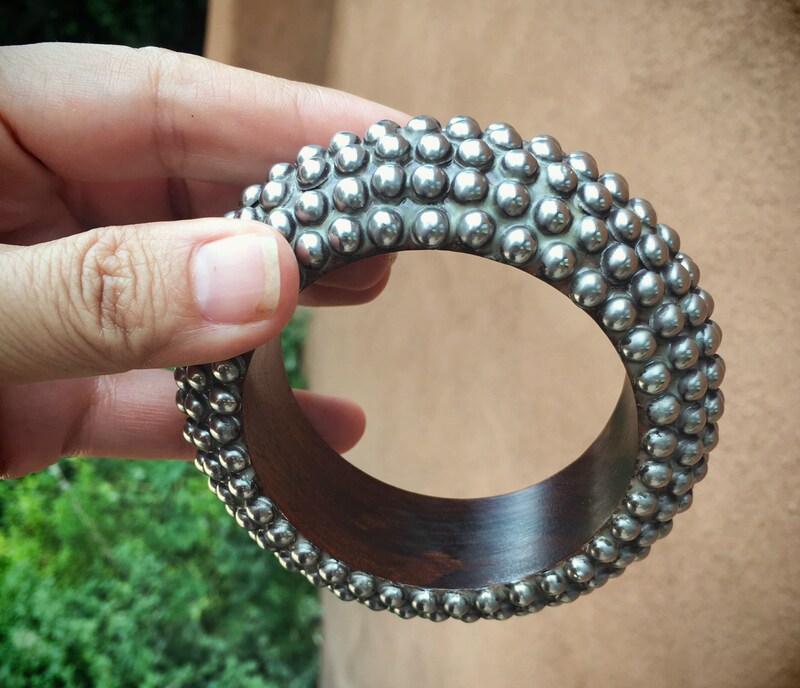 A fabulous wide wood bangle covered with silver tone dots, the interior of which is then filled with a silvery resin material. 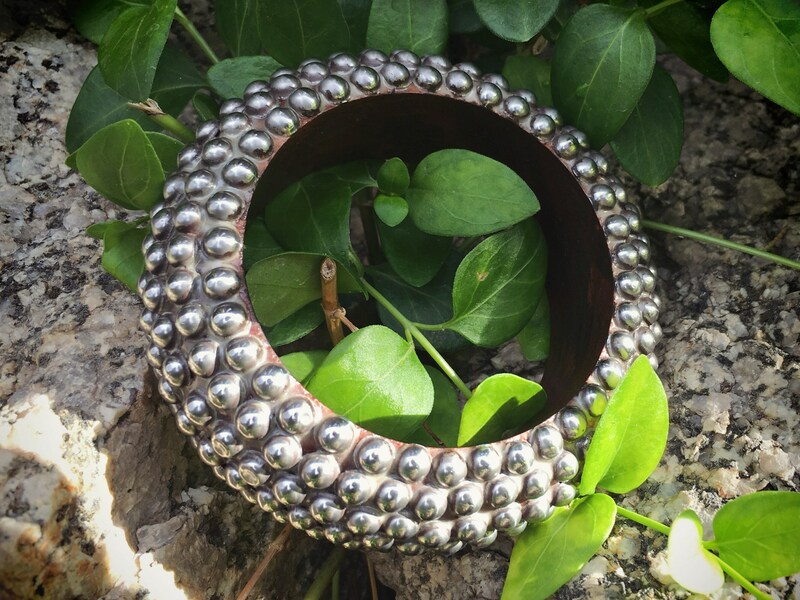 Is made to look like silver metal, but while the dots are a nickel based metal, that material in between was definitely liquid and filled in. 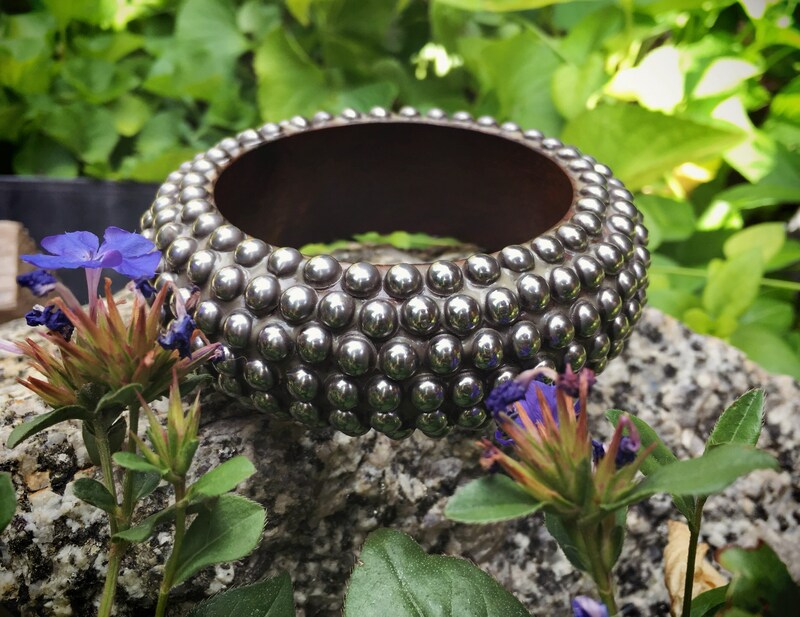 This is costume jewelry of the best kind, striking on and always a statement. 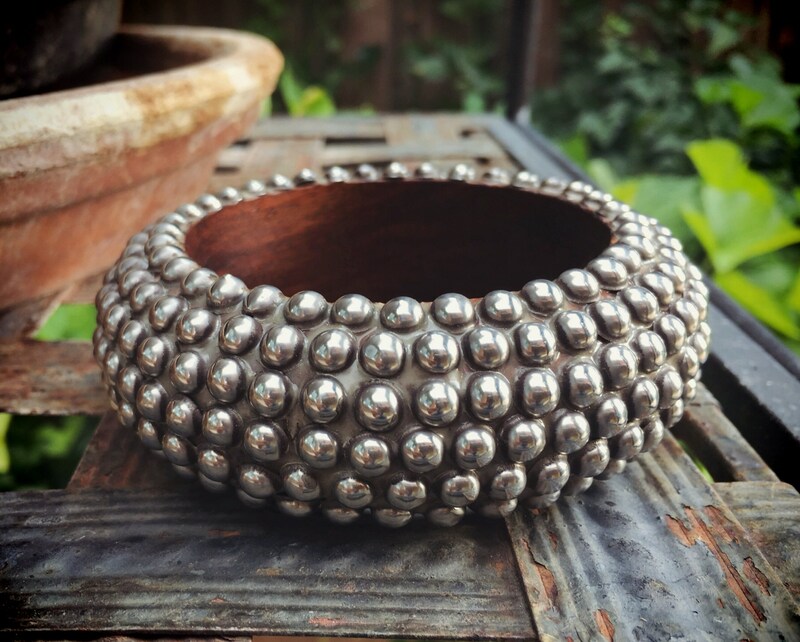 The silver tone metal gives it a modernist Southwestern look and feel. Measures 1-1/8" wide, extends out about 3/4", and the interior length taking a tape measure all the way around is 7-7/8". 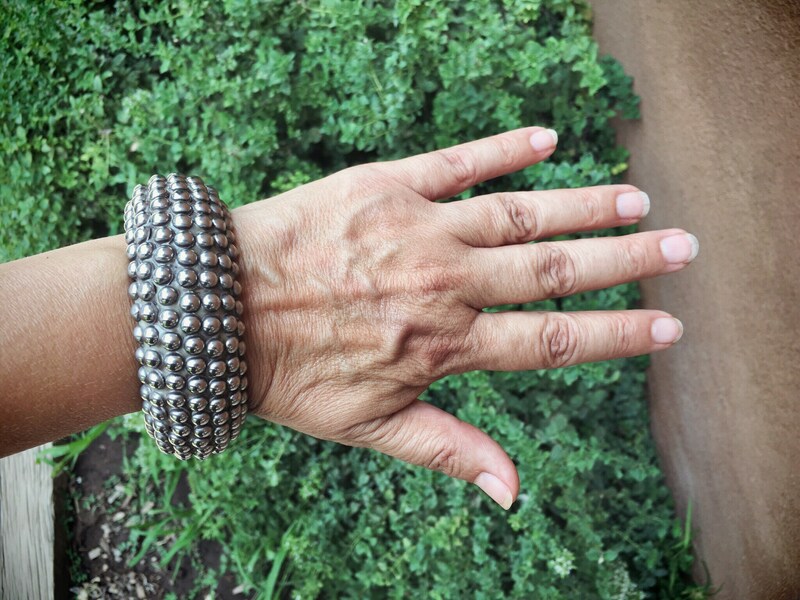 Bangles are made fairly wide to fit over the hand, and it is the width of the hand near the point where it narrows to meet the wrist that you should measure. 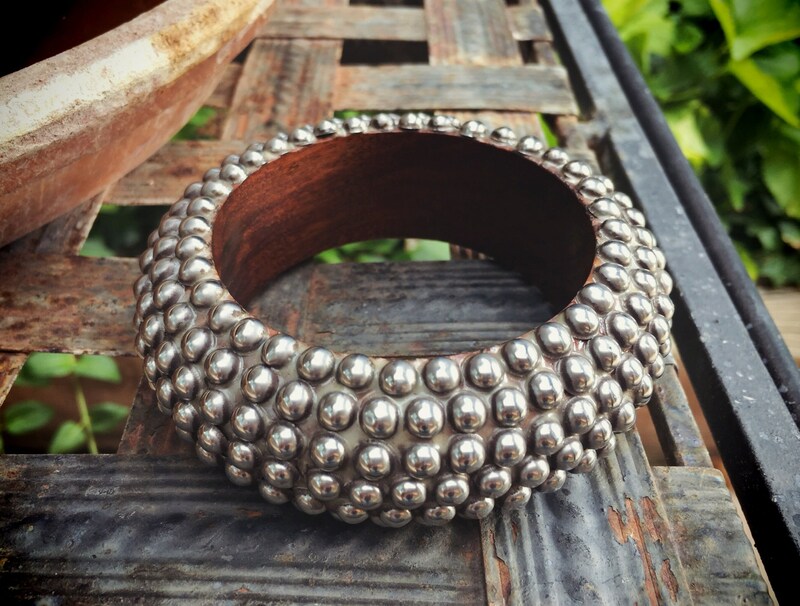 As long as your hand is not super slim, the bangle will stay on. Some of the silver dots are dented, and some of the resin material is thin.